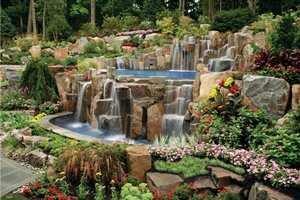 New England Hardscapes in Acton, MA. Talk to people that already have a pool. What do you like and not like about your pool? How long did the actual process take to build it? Were there any unforeseen costs that you didn't expect? 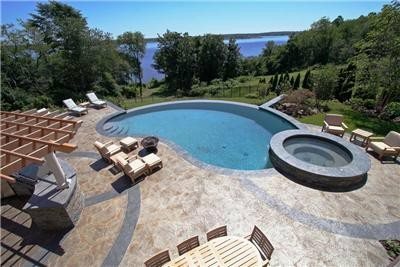 Start a folder with photos of pool designs you like. Let's say you hired an interior designer for a project in your home. One of the first things this person will ask you is to see pictures of room designs that you like. Why do they want to see these pictures? Because it gives them a better insight into what room colors, schemes, furniture, and design themes you seem to be drawn to. You should create this file of ideas for your swimming pool. Photocopy, clip, or in some other way save any photos of swimming pools that catch your eye. Once you have collected a dozen or so, you should be able to compare them and see a common theme in the type of swimming pool that you're attracted to. Most certainly, you will be able to pick out parts of each photo that illustrate features that you like and would want included in your pool. From your file of saved ideas, create one page to write down every feature, design, look or other element of a pool that you wish yours could have. The sky is the limit! Don't worry about costs at this point. It's much like beginning with the end in mind. 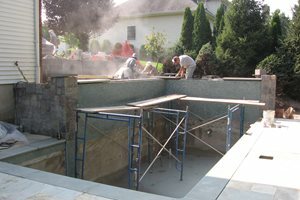 Ask yourself, "How do I wish my pool would look when it's finished?" Then work backwards...you can begin identifying items that are too far out of your budget. Then you can identify items that just won't work (perhaps because the space for your pool is too small, or you don't have a view to capitalize on, etc.). 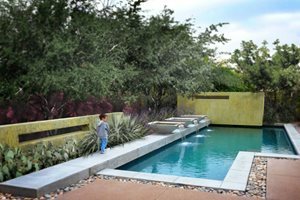 Once you have this wish list whittled down, you can show it to your pool builder and or landscape architect and have a solid basis for building a pool that will match your dreams and your budget.